As we purchased secondhand helmet of SHOEI, we purchased as there was not bag for preservation. 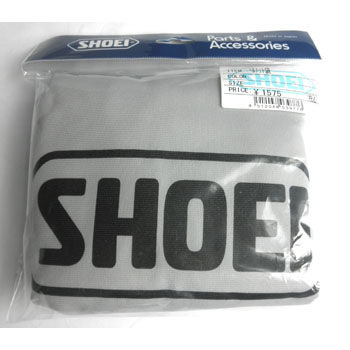 I am very happy with the fact that they are for SHOEI and they are very well made. This review is about item#36587126. The helmet bag itself may be thicker than Alice 's one. However, it can not be used when wearing the helmet holder because there is no hole through the D ring of the helmet in Arrai. Also, since the notation of Made in Japan is gone, there is a possibility that it was made foreign made now.